Theory, Ideology and Political Practice: The FAU's "Huerta Grande"
Huerta Grande, or “Large Orchard,” was written in 1972 as an internal discussion document of the Federación Anarquista Uruguaya, after the Tupamaros, a Guevarist group, had failed in their armed strategy of foquismo and right before the brutal military coup of June, 1973. 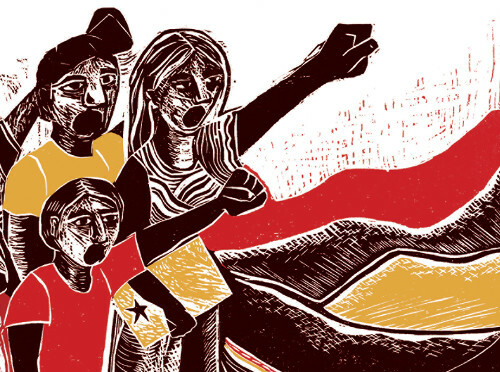 The piece looks at the nature of theory and strategy asserts that an essential aspect of revolutionary political organization was having a deep understanding of material reality informed by practical theory and political praxis. 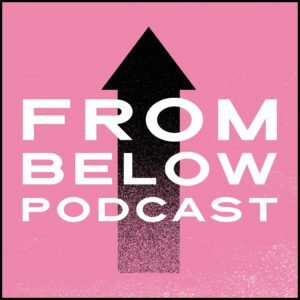 This may not seem new or novel but the implications of this have since had a profound impact on Latin American anarchism and become a seminal document of the Especifismo current. 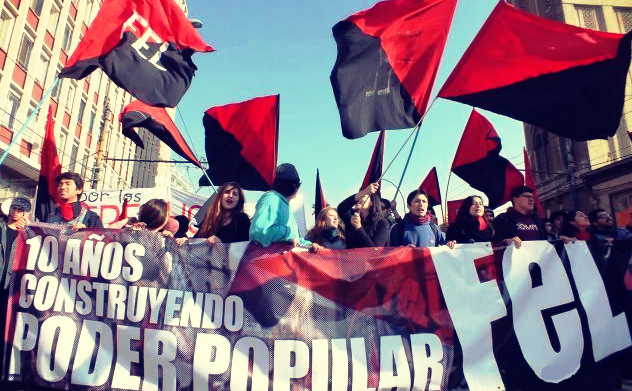 The Federación Anarquista Uruguaya, known as the FAU, was founded in 1956 and was the first organization to promote the organizational concept of Especifismo (for more on Espeficismo see “Building a Revolutionary Anarchism” and “Especifismo: The Anarchist Praxis of Building Popular Movements and Revolutionary Organization in South America”). The FAU envisioned the purpose of their organization as the coordination of militants towards strategic “social insertion,” which is the mobilization of militants to work with a common strategy both within and in building mass organizations. The intermediate goal being the construction of popular power of mass organizations and ultimate being the creation of a wide scale libertarian movement which could create a rupture with the state. In the decade of the 1960s the organization was crucial in the creation of the Uruguayan CNT, a national trade confederation which united 90 percent of organized workers; the Worker-Student Resistance or ROE, a federation of militant workplace and student groups which numbered around 12,000 members; and the FAU’s armed wing, the OPR-33. 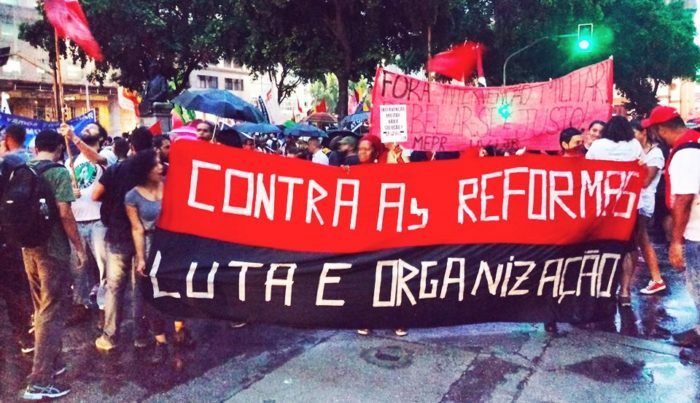 More recently in the last two decades the FAU has aided in the creation of several similar anarchist organizations in Brazil, Argentina, and Chile and has inspired other anarchist organizations around the world. Original English translation: Pedro Ribeiro (2009, Amanecer: For A Popular Anarchism, California), revisited translation by Gabriel Ascui (2018, SOL, Chile). To understand what is going on (the conjuncture), it is necessary to think correctly. To think correctly means to order and adequately treat the data that is produced about reality in huge bulks. To think correctly is an indispensable condition to correctly analyze what is going on in a country in a given moment of this or another country’s history. This demands instruments. For our task, the instruments are concepts and to think coherently, a series of concepts coherently articulated between them is required. Thus, a system of concepts, a theory, is required. Without a theory one runs the risk of examining every problem individually, in isolation, starting from points of views that can be different in each case, or examining them based on subjectivity, guesses or presentation, etc. The party was able to avoid serious mistakes because we have been able to think based on concepts that have an important level of coherence. It has also made serious mistakes due to insufficient development of our theoretical thinking as an organization. To propose a program, we must know the economic, political and ideological reality of our country. The same is necessary in order to create a political line that is sufficiently clear and concrete. If we have insufficient or incorrect knowledge, we will not have a program but only a very general line, difficult to implement at all the places the party is inserted. If there is no clear line, there is no efficient political practice. The political will of the party then runs the risk of getting diluted, “voluntarism” in action ends up becoming just doing whatever comes up out of sheer good will, but does not determine the outcome of events, based on its inaccurate previsualization. We are determined by them [the events] and by them we act spontaneously. Without a line for the theoretical work, an organization, no matter how big it is, will be bewildered by circumstances that it cannot affect nor comprehend. The political line requires a program, understood as the goals to be achieved at each stage. The program indicates which forces are favorable, which ones are the enemy and which ones are only temporary allies. But in order to know this, we must know profoundly the reality of the country. Therefore, to acquire this knowledge now is a task of the highest priority. And in order to know, we need theory. The party needs a clear picture in order to be able to think coherently about the country and the region and the struggles of the international workers movements throughout history. We must have an efficient framework to organize and rank the growing mass of data regarding our economic, political and ideological reality. We must have a method to analyze this data, to see which is more important, which ones must come first and which ones later, in order to correctly marshal our forces in this insertion front. A conceptual scheme that allows us to connect one thing to another in a systematic and coherent order is vital to our goals as militants of our party. Such a scheme must be able to draw examples of how to act using these concepts for others that act in other realities. But this work of knowing our country we must do it ourselves because nobody is going to do it for us. We are not proposing inventing theoretical schemes from scratch. We are not going to create a new theory and all of its ramifications. The reason for this is the general backwardness of the milieu and its specialized institutions and our lack of availability to take on this task. Therefore, we must take theory as it is elaborated, critically analyzing it. We cannot just accept any theory with blind eyes, without criticism, as if it was a dogma. We want to realize a complete transformation of our country and will not adopt as a way of thinking theory created by the bourgeoisie. With bourgeois conceptions, we will think as the bourgeoisie wants us to think. We want to study and think about Uruguay and the region as revolutionaries. Therefore, amongst the elements that are part of the different socialist currents, we will adopt always those elements that aid us in doing exactly that: to think and analyze as revolutionaries, the country, the region, and other regions and experiences. We will not adopt a theory just because it is fashionable. To live repeating “quotes” that others said in other places, in another time, regarding other situations and problems is not theory. Only charlatans use it like this. Theory is an instrument, a tool, that serves a purpose. It exists to produce the knowledge that we need to produce. The first thing that we care about knowing is our country. If it is not capable to produce new helpful knowledge for our political practice, theory is absolutely useless, it is only a theme for idle babble, for sterile ideological polemics. 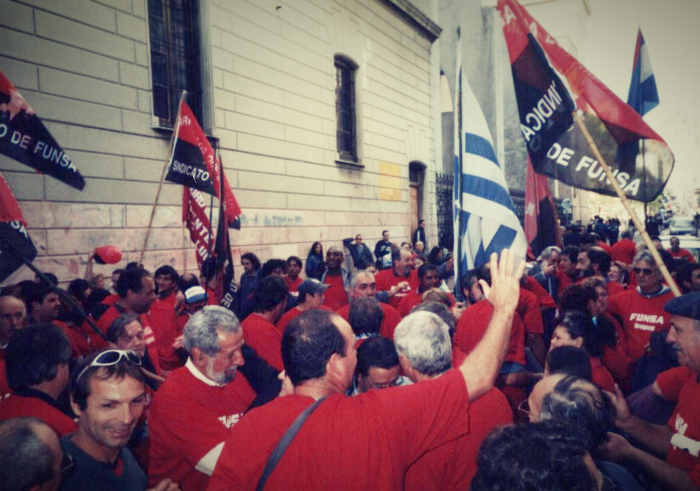 Image: Rally of FUNSA members in circa 2004 , a tire workers union which FAU historically played a strong role and which participated in various general strikes and factory occupations. It is important to point out a few differences between what has commonly been called theory and ideology. Theory aims for the elaboration of conceptual instruments used to think rigorously and profoundly understand the concrete reality. It is in this sense, that we can refer to theory as an equivalent to a science. Ideology, on the other hand, is made up of elements of a non-scientific nature, which contribute dynamism to action based on circumstance that, although having something to do with the objective conditions, do not strictly emerge from them. Ideology is conditioned by objective conditions although not mechanically determined by them. The profound and rigorous analysis of a concrete situation, in its real and objective terms, is a theoretical analysis as scientific as possible. The expression of motivations, the proposal of objectives, of aspirations, of ideal goals – all of that belongs to the field of ideology. Theory refines and defines the conditioning elements of political action, as ideology motivates, impulses, and configures its “ideal” goals and style. Between theory and ideology there is a very tight connection, as the proposals of the second are founded and supported by the conclusions of the theoretical analysis. The efficiency of an ideology as a motor for political action is as much as it’s firmly based in the conclusions of theory. Theoretical work is always a work that is based and supported in the real processes, in what goes on in the historical reality, in what happens. Nevertheless, since it is work that is located completely in the realm of thought, and therefore, there are no concepts there that are more real than others. The distinction between the existing, concrete reality, between the real, historical processes and on the other hand the processes acquired from knowledge and understanding of that reality. In other words, it is necessary to affirm the difference between being and thought, between reality as it is, and what we can know about it. The primacy of being over thought, of reality over knowledge. In another words, the sequence of events is more important – it weighs more as a determinant –in what actually happens in reality than what we think or know about this reality. Starting from these basic affirmations, it is important to understand the precise reaches of theoretical work, that is, the effort of knowledge guided by the purpose of acquiring rigorous, scientific knowledge. Theoretical work is always based in a pre-determined raw material. [Theory] does not come out of the real concrete reality as such, but comes out of information, data and notion of that reality. This primary material is treated, in the process of the theoretical work, by certain useful concepts and certain instruments of thought. The product of this treatment is knowledge. In other words, there are only real, concrete and singular objects (determined by historical situations, determined societies, determined times). The process of theoretical work seeks to know them. Sometimes theoretical work aims towards abstract objects that do not exist in reality, that only exist in thought, and however are indispensable instruments, a pre-condition in order to know real objects (for example the concept of social classes, etc.). In the production of knowledge, raw material is transformed (superficial perception of reality) into a product (a rigorous scientific knowledge about it). The term “scientific knowledge” must be defined in its relationship with the social reality. Applied to reality, it alludes to its comprehension in rigorous terminology, the best approximation to reality as it is. It must be said that this process of comprehending the social reality, as with any other real object of study, is susceptible to an infinite theoretical depth. As physics, chemistry and other sciences can infinitely deepen their knowledge about the realities that constitute their respective objects of study, in the same manner social science can indefinitely deepen knowledge about social reality. Therefore, it is inadequate to expect a “finished” knowledge of social reality in order to start acting on it in order to change it. Nor less inadequate is trying to change it without profoundly knowing it. Rigorous scientific knowledge of social reality, of social structure, is only achieved through working with information, statistics data, etc., through the means of more abstract conceptual instruments, given and constituted in theory. Through practice of theoretical work we seek the production of these conceptual instruments, each time more precise and concrete, leading us to knowledge of the specific reality of our surroundings. Only through an adequate theoretical comprehension, profound and scientific, can ideological elements be developed (aspirations, values, ideals, etc.) that constitute adequate means for the transformation of this social reality with coherence of principles and efficiency into political practice. An efficient political practice therefore demands: knowledge of reality (theory), the harmonious postulation of it with the objective values of transformation (ideology) and concrete political means for attaining such transformation (political practice). The three elements are fused in a dialectical unit that constitutes the effort for transformation that the party aims for. One may ask: Should we wait for a finished theoretical development in order to start acting? No. Theoretical development is not an academic problem, it does not start from zero. It is founded, motivated and developed by the existence of ideological values and of a political practice. More or less correct, more or less incorrect, these elements exist historically before theory and motivate its development. The class struggle has existed long before its theoretical conceptualization. The struggle of the exploited did not wait for the elaboration of a theoretical work. Its existence precedes knowledge about it, it was there before being known about, before the theoretical analysis of its existence. Therefore, from this basic statement, it becomes fundamental and essential to act, to have a political praxis. Only through [praxis], through its concrete existence in the established conditions of its development, can we elaborate a useful theoretical framework. A framework that is not a worthless accumulation of abstract statements with some coherence in its internal logic, but without any coherence with the development of the real processes. To theorize efficiently, it is precise to act. Can we do away with theory with the excuse of practical urgency? No. There may exist, shall we say, a political praxis founded solely in ideological criteria, thus, unfounded or insufficiently founded in adequate theoretical analysis. That is common in our environment. Nobody can argue that, in our reality or the reality of our [Latin] America region, an adequate theoretical analysis exists, that is a sufficiently conceptualized comprehension, not even close. This ascertainment also applies to the rest of our reality. Theory is only in its initial stages. 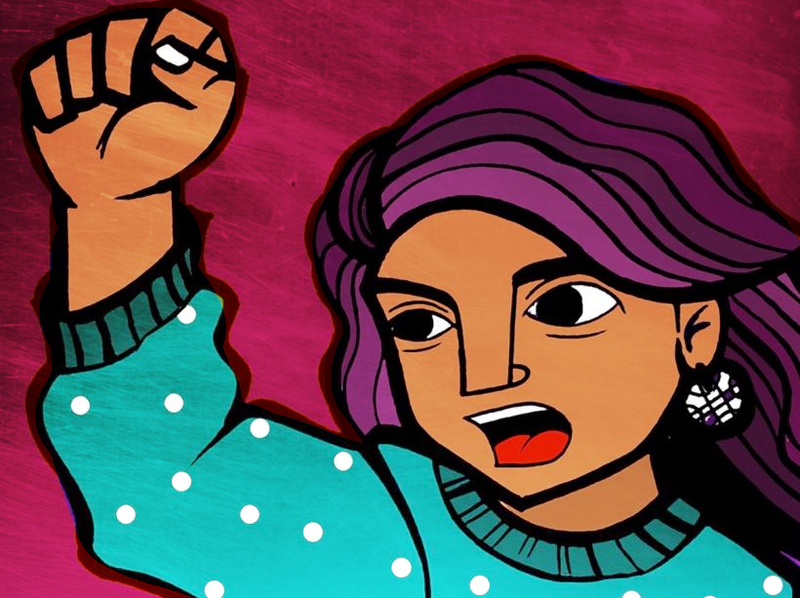 However, for decades and decades there have been struggles, a confrontation. This understanding should not lead us to disdain the fundamental importance of theoretical work. To the question previously asked we must then answer: The priority is praxis, but how effective this praxis is depends on a more rigorous knowledge of reality. In a reality like ours, in the social formation of our country, theoretical development must start, as in everywhere, from a group of efficient theoretical concepts, operating on data as massive as possible, that will constitute the raw material for theoretical development. Data on its own, examined in isolation, without an adequate theoretical conceptual treatment does not adequately represent reality. It simply decorates and dissimulates the ideologies in which service this data is functionalized. The abstract concepts, in and of themselves, adequate background information, do not give further knowledge of reality either. The theoretical work that exist in our country usually fluctuates between these two incorrect extremes. 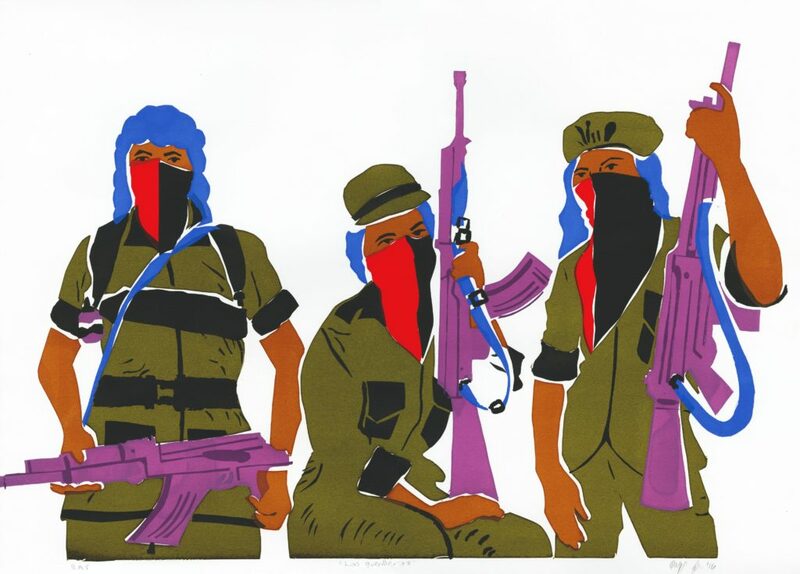 For a related theory and strategy articles we recommend “Especifismo: The Anarchist Praxis of Building Popular Movements and Revolutionary Organization in South America,” “For a Theory of Strategy by CAB (Brazil),” and “The Problems Posed by the Concrete Class Struggle and Popular Organization.” For a contemporary analysis of the US by Black Rose/Rosa Negra we recommend “Below and Beyond Trump: Power and Counter Power” written in 2017.